We are a supplier of standard grade 5 and 8 hex head cap screws and a full range of socket head cap screws including flat and button head. These offerings also include stainless steel bolts and the full variety of metric counterparts also in steel and stainless. 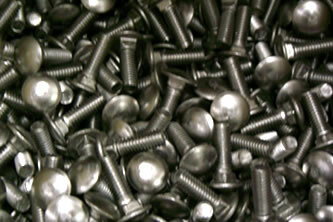 While we do not manufacture any headed bolts, we do create many custom bolts or specials. These secondary operations may include cutting, running up threads, shaving heads or cross drilling holes. We are familiar with the many different styles, grades and materials of fasteners and bolts including all the metric variations. When requesting information, please list the diameter, thread pitch and length followed by the type of bolt and then the grade, material and plating. With all the varieties on the market, these details are essential in our sourcing tasks.